Many video projects require background tracks or scene music that is… A little different. 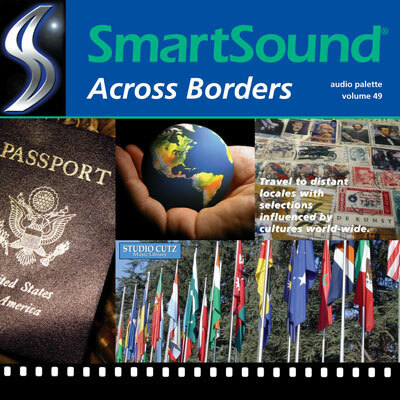 If royalty-free music inspired by cultures around the world is needed, one only has to use SmartSound’s music search to find a wealth of tracks to use. For an Asian-inspired earthy folk track that inspires serenity and spirituality, consider Song of the Crane from the album, Across Borders, which brilliantly uses the traditional Japanese flute, the shakuhachi, and other authentic instruments. And, with 4 variations, the same track fulfills multiple roles all while maintaining the cultural authenticity and tranquility of the default variation. Bonnie Green from the album, Celtic Adventures, takes you to the other side of the world, inspiring images of green hills and ancient mythology. This atmospheric and emotional Irish track is perfect for pastoral scenes, and 5 variations with 11 instrument mixes ensure it can be tailored to perfectly fit the scene. The native Irish whistle and bagpipes blend seamlessly, really showing off what these instruments are capable of in expert hands. Travel scenes that montage deep personal growth, for example, will be a great fit for A Simpler Time, a track off the Acoustic Textures (PS71) album.It manages to be heart-warming and intimate with its serene guitar and instrumental rhythm, perfectly accompanying the subtle piano play. The African-inspired Strength in Tears track from the Captivating Portaits album is exotic and earthy, inspiring hope and tranquility. The authentic African flute alters and enhances the guitar and other, more modern instruments. With available variations and instrument mixes, the track can also be somber and reflective, fitting a variety of scenes. For a romantic Latin or Italian ballad, look no further than Santa Lucia from the album, International Treasures. This relaxed instrumental includes both accordion and mandolin, so you know it’s going to fit any restaurant scene with two dogs eating spaghetti in the moonlight. Each of the tracks can be tailored to any specific length desired, perfectly fitting the intended scene. 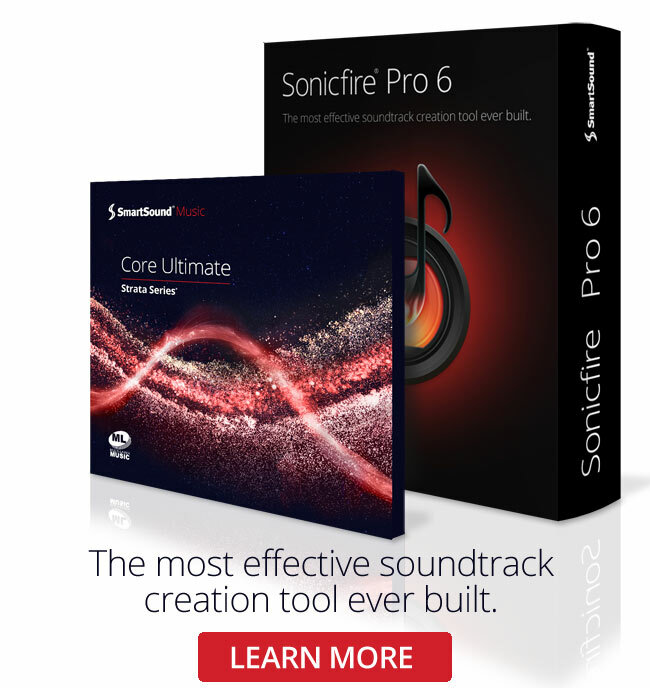 Editing background tracks into scenes is usually time-consuming, but with SmartSound’s award-winning, patented technology it’s as easy and breezy as these tracks.